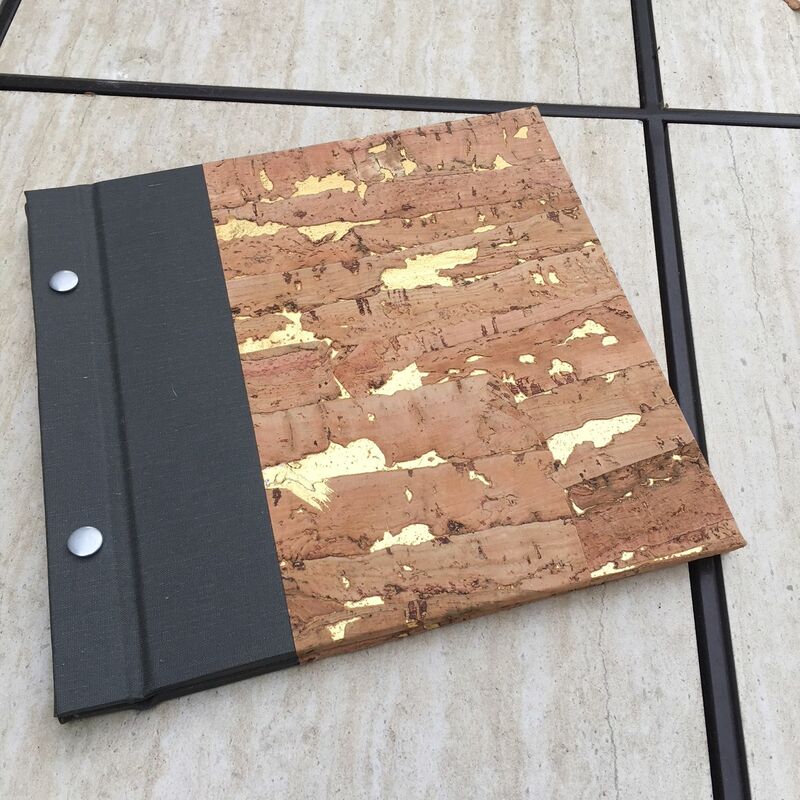 Our Post Binding method works awesome for fancy restaurant or bar menus, wine lists,portfolios and photo albums. 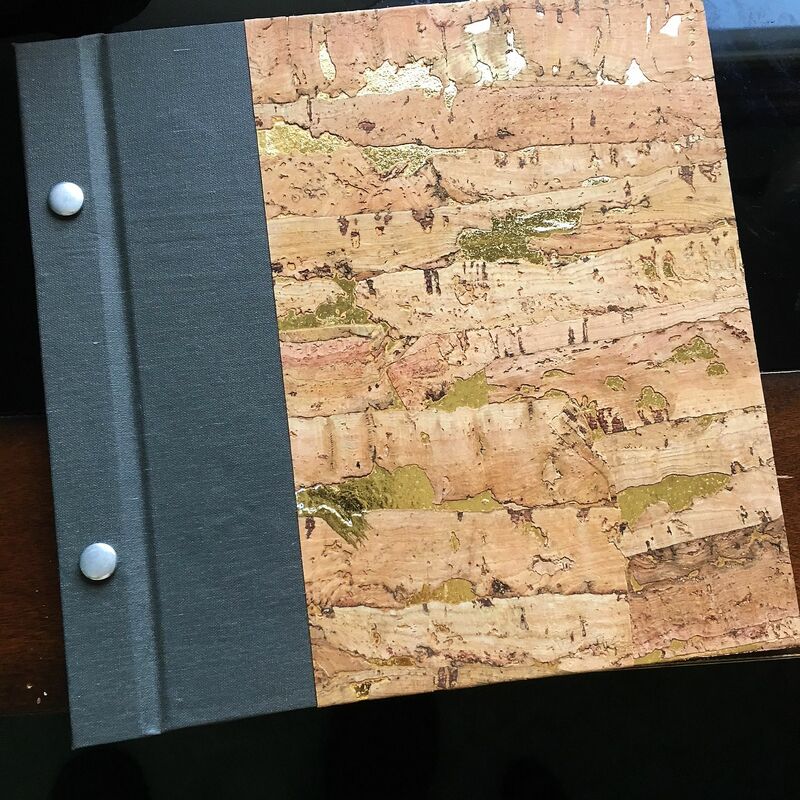 This one pictured above used a corkskin and cloth material combination. Inner book opens to lay flat and we can provide an assortment of printed or non printed interior pages depending on needs and usage. Post Binding or “Chicago Screw Post” style binding is a unique and classy format that is useful as restaurant/bar menus, wine lists and artist portfolios and albums. You can now afford to invest in a luxurious cover design, knowing that you can add or replace pages as needed and even can change the size of the screw post to increase capacity. Our Post bind menus and portfolios are not quick throw-away models. These are built to last! 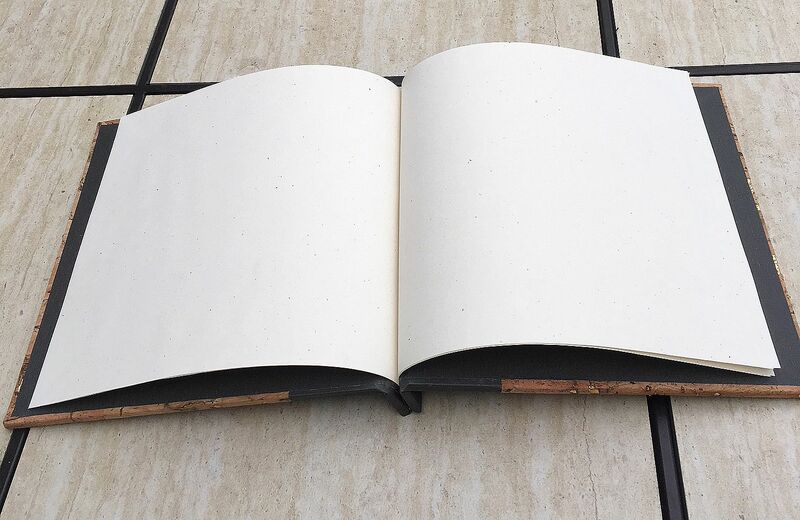 Design Bindery uses a double thick binder’s board on these post binders which creates a fabulous, high touch, high value feel. Looking for one of those little ways to create a higher perceived value to your menu? This is it! !